Originating in England back in the 1800’s, the Manchester Terrier served as an excellent hunter and eager companion. This breed was known for hunting vermin and rabbits that infested the area of Manchester, and would even work at nearby inns and farms when needed. Throughout the 1800’s, the Manchester Terrier was a popular breed throughout England. However, just like with most breeds, they suffered a huge hit during WWI and almost became extinct. Luckily, several supporters of the Manchester Terrier were able to revive these spunky little canines, which is the reason they are still around today. High-spirited and sociable, the Manchester Terrier is a lively dog that showcases all the same personality traits as their close terrier cousins. They are smart yet alert, able to serve as a great watchdog and protector of the family if an opportunity arises. They also crave companionship from their owners, and if they don’t get enough attention from them, they may develop separation anxiety or depression. All in all, as long as the Manchester Terrier is properly trained, socialized, and receives the attention they think they deserve, they can be a devoted and well-behaved companion for years to come. Manchester Terriers are known to be a very intelligent breed. However, with that, it’s important to know that they also have a tendency to do as they please. Like with all terriers, these dogs need to develop a respect for their owners or else they will begin to call the shots in your home. By starting the training process early, you will be able to teach your Manchester Terrier what’s expected of him and how to be a well-behaved household pet. It is also important to socialize your pup at a young age and introduce him to different people, places, and experiences. This energetic breed loves to be outdoors and should have plenty of exercise to satisfy their needs. Physical activities is very important for the Manchester Terrier, especially because this breed is prone to obesity. No matter the activity, your pup is going to love it. Whether it’s a 30-minute walk or agility training, the Manchester Terrier enjoys anything that lets them run around and bond with their owner. If they do not get enough exercise on a daily basis, they may develop destructive behavioral problems. Most terriers will destroy the living room furniture or dig up the flower pots if they feel they are lacking entertainment or attention. On average, the Manchester Terrier lives to be around 14 to 16 years old. The Manchester Terrier is not as well-known in the United States compared to their other terrier counterparts. Today these dogs are ranked as the 133rd most popular breed in the U.S. by the American Kennel Club. 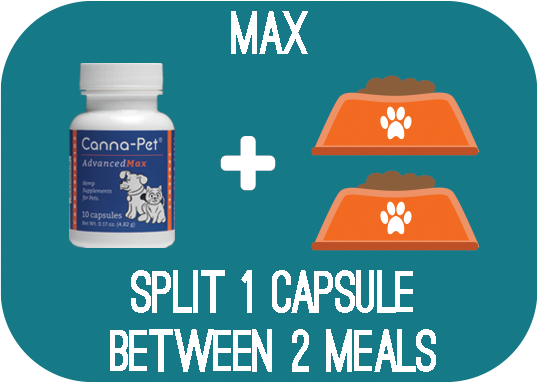 Depending on your dog’s size, weight, metabolism, and activity level he should consume between ¼ to 1 cup of high-quality food a day split into two equal meals. When choosing his dog food, make sure you find a brand that offers all-natural and healthy ingredients. This is critical considering the food you feed your pup can have a serious impact on his overall health. The short coat of the Manchester Terrier makes them very easy to groom. All they need is a weekly brushing to keep their coat clean and healthy. Aside from their minimal coat grooming, make sure to clean their teeth at least once a week to prevent bacteria and tartar from building up. Lastly, if your dog does not wear down his nails naturally, trim your dog’s nails yourself every couple of weeks. Are Manchester Terriers Good with Kids? The Manchester Terrier loves the attention they get from children, however, it’s important to note that the child has to be old enough to understand how to treat their furry companion. Since these dogs are so small, they can be easily injured with roughhousing toddlers. If you have a child and want to bring home a Manchester Terrier, make sure they are old enough to treat the dog respectfully and carefully without harming them in any way. Von Willebrand’s Disease: Von Willebrand’s Disease in dogs occurs when the blood is not able to clot how it should. Dogs that suffer from this disorder may experience bloody noses, excessive bleeding after surgery, and bloody gums. Glaucoma: Glaucoma in dogs occurs when the pressure in the eye becomes increasingly high. This eye condition can be very painful and usually results in blindness. Hypothyroidism: Hypothyroidism is a health condition that commonly affects Manchester Terriers and other breeds. This occurs when the body is unable to produce a sufficient amount of thyroid hormones, which will lead to a fluctuation in weight, appetite loss, and lethargy. Luckily for owners, hypothyroidism can be cured by taking a synthetic hormone pill.